WHAT CAN RUNNING BOARDS DO FOR YOU? Due to their practical functionality and appearance enhancing capabilities, running boards have become one of the most popular aftermarket products for pickup trucks and SUV's. Running Boards have changed greatly over the last few years with the new materials and manufacturing techniques in use today. Add to that the fact that aftermarket running boards are much less expensive than OEM boards and popularity rises even higher. 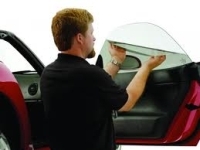 At Auto Trim Design of Idaho Falls we carry some of the top brands like DeeZee, Owens, ICI and Onki. These folks really know their stuff and make some of the best products on the market today. Top quality running boards at reasonable prices. They have been doing this for years and have a proven track record of providing products that are second to none.